For centuries, silversmithing in Yemen was a Jewish-dominated craft. 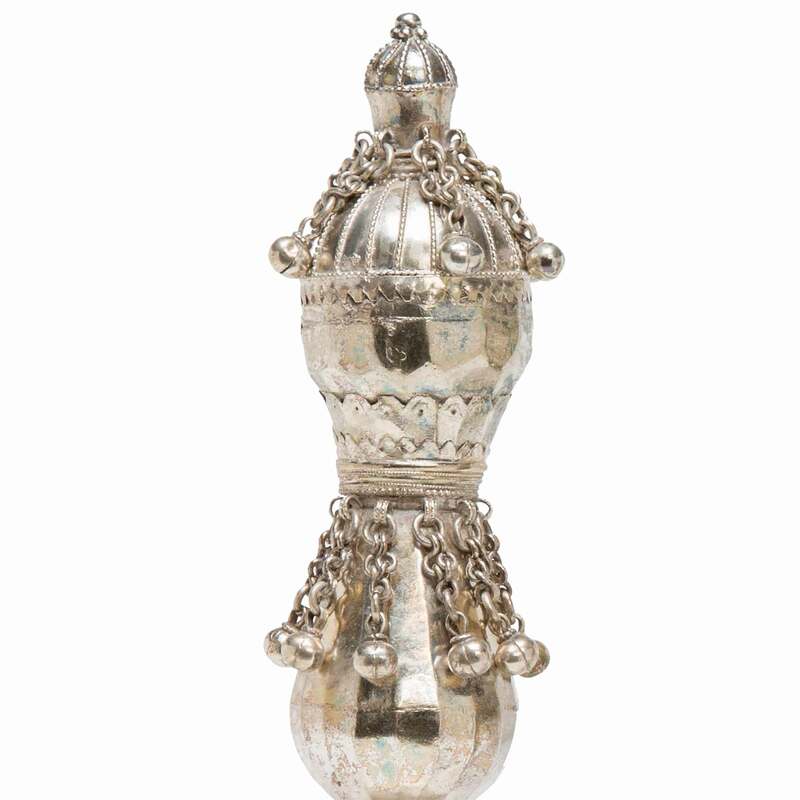 Yemeni-Jewish craftsmen created beautiful silver pieces characterized by elaborate granulation and filigree decoration, for Muslim and Jewish clients alike. The Spertus Institute collection contains many examples of delicate silver jewelry and Torah ornaments from Yemen. Silversmithing was among the earliest traditions of Jewish settlers in Yemen and remained a Jewish-dominated craft well into the twentieth century. 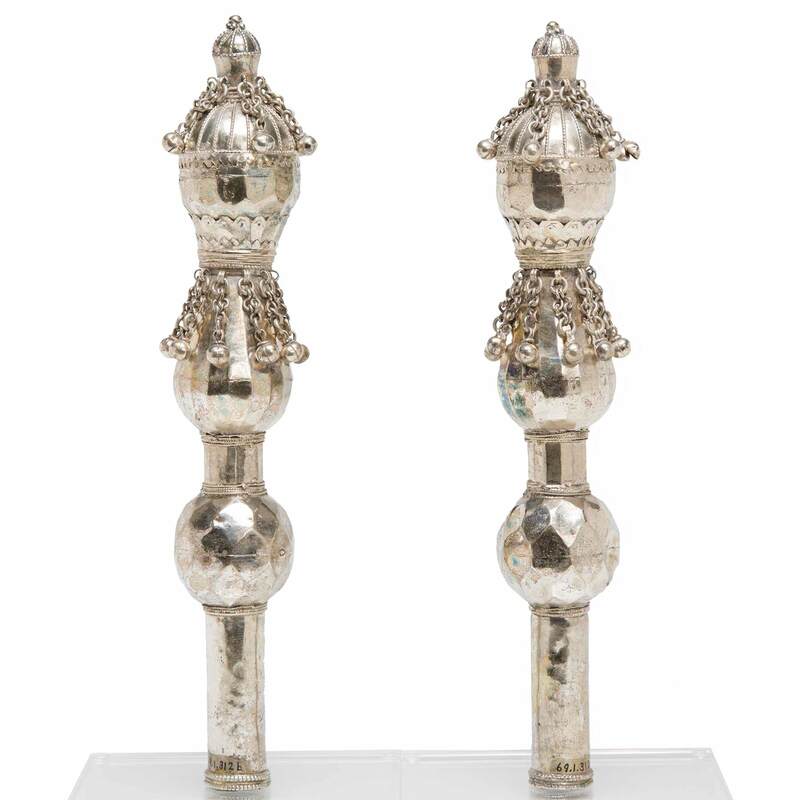 Yemeni-Jewish craftsmen produced beautiful silver pieces characterized by elaborate granulation and filigree decoration for Muslim and Jewish customers. Jews came to handle silver so well that the term “Jewish work” still indicates quality in Yemen, though very few Jews reside there today. From 1949-50 approximately 50,000 Yemenite Jews were airlifted to the newly established State of Israel in a massive operation called “On Eagles’ Wings,” a reference to Isaiah’s prophecy of a return to Zion, or alternatively, “Operation Magic Carpet.” Most of the Yemenite items in the Spertus Institute collection were purchased by Maurice Spertus from Yemenite Jews soon after their arrival in Israel. (New York: Spector, 1986) VHS 78 min. (Tel Aviv: Bet Hatefutsot, 1988) VHS 16 min.